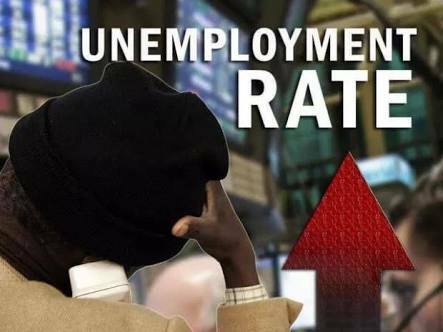 The major problems in the country currently are unemployment and high cost of living, the National Bureau of Statistics (NBS) has said. According to the bureau, most Nigerians believe that if the government can tackle the high rate of joblessness across the country, the other problems will be significantly reduced. Presenting key findings from the National Corruption Survey, entitled: ‘Corruption in Nigeria’, which was conducted by the bureau in conjunction with other agencies of government, at a corruption summit organised by Youth Alive Foundation in Abuja on Wednesday, the Director, Real Sector and Household Statistics, NBS, Isiaka Olanrewaju, stated that surprisingly, corruption did not emerge as the country’s major problem. He said after the bureau conducted a survey on the percentage of Nigeria’s population who considered selected issues that were the most important problems affecting the country, it was discovered that unemployment was number one. Olanrewaju noted, “Apart from talking about the issue of bribery and corruption, we also had peoples’ opinion on what they think is the major problem in Nigeria. And when we arranged them in order of mention, unemployment emerged as number one.